Democrats are losing their slaves again and they are just as incensed today as they were in the 1850s. The latest defector from the Democrat Plantation, Kanye West, is being hounded and hunted down by the house slaves of their Democrat Party masters. West committed the liberal crime of praising a conservative Christian for achieving great things for America when he spoke well of President Trump. 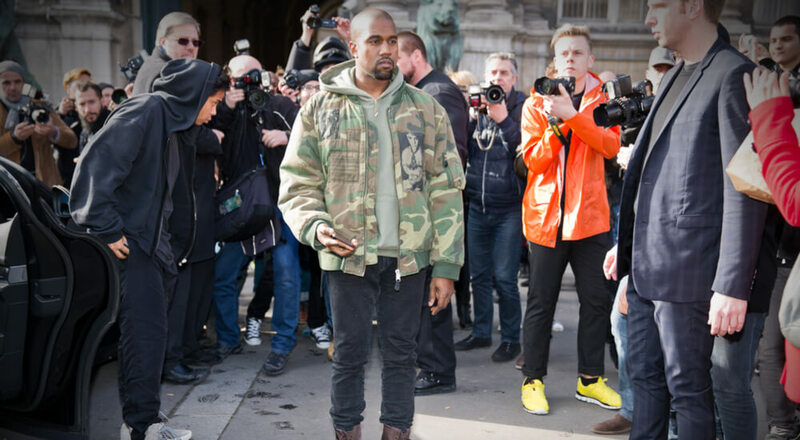 Did Kanye West grow a functioning brain and moral heart? Leftists are incensed that West, who once damned President George W. Bush as hating black people because he believed their propaganda about Katrina, who praised Barack Obama and voted for him twice, and who did not vote in 2016 for Hillary, is now saying he loves President Donald Trump! West is taking the slings and arrows of the Left for daring to take a stand with Candace Owens against the Democrat Plantation that he, too, is now calling “a prison for your mind.” Conservatives have been striving to expose Democrat propaganda for decades, but Republicans are always too fearful of inciting the liberal media against them and being called racists. By calling Republicans racist, Democrat have silenced most of them because propaganda has a strong influence on the weak-minded, especially those who are seeking public approval to win a popularity contest to obtain a seat in Congress. Obama learned very early that they easiest way to win was to smear his opponent with lies and promise treats and free benefits to the masses, i.e. pandering through demagoguery. But the rise of Donald Trump has pulled back the curtain to reveal the true nature of the Democrat Party as America haters inciting scorn for all things righteous, slandering any who speak out against them, and offering to be the government thieves stealing from the rich by establishing themselves as the socialist rulers of America. West may have taken the Red Pill and opened his eyes to what Democrats have been doing to enslave their former slaves over the past century. 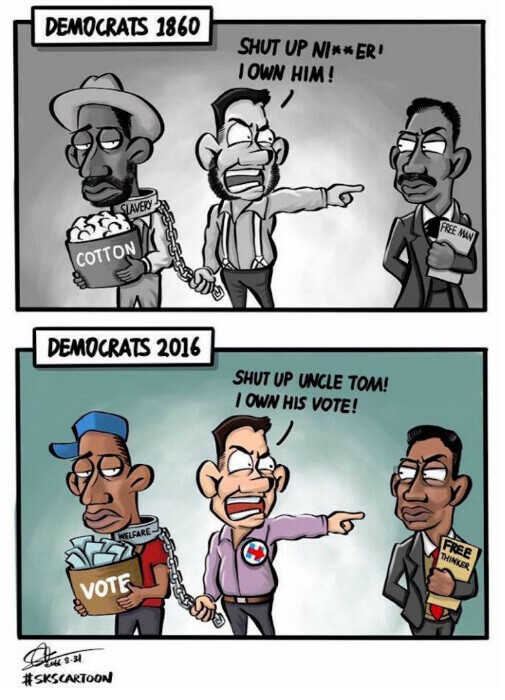 Democrats lured the descendants of their former slaves back to their plantation, except that now that plantation isn’t a manor home surrounded by cotton pickers, but a ghetto inhabited by voter slaves subsisting on welfare. Democrats achieved this by encouraging black racism against whites, offering them table scraps on which to live rather than low paying jobs from which they can rise, and by sending their House N*ggers out to keep them in line when they strayed. Leftists love to call black conservatives like Justice Clarence Thomas, Dr. Ben Carson, and CEO Herman Cain “House N*ggers” for working with white people. But there is a difference between working with white people or working for a white boss, and working in service to white overlords. It is Representatives like Elijah Cummings who was beaten by Democrats at Selma and then joined them to keep voters in line, Maxine Waters who expresses blithering idiot stupidity on a weekly basis screaming, “Impeach 45,” before Trump had even taken office, and Corey Booker whose anti-white racism is laughable in the face of his service to his ruling Democrat overlords. Democrats teach ignorant young people that they are not the Democrats of the past, but that they are the ones who freed the slaves.